NHRA Nationals at Summit Motorsports Park. Rickie Smith wins the NHRA Pro Mod Drag Racing Series portion of the Summit Racing Equipment NHRA Nationals Sunday afternoon. 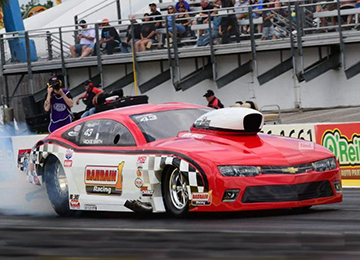 This weekend’s Pro Mod racing was the seventh of 12 events this season. Smith ran a 5.804-second pass at 208.01 mph in his ’18 Chevrolet Camaro to defeat Jeremy Ray in the finals. This is Smith’s third victory this season and 14th of his career.